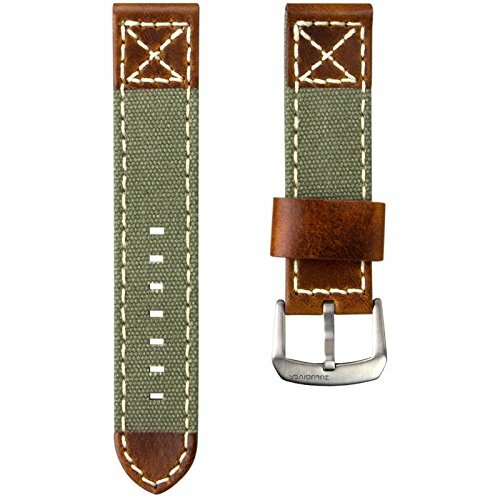 Genuine Leather Watch Band with Canvas insert. Available in a choice of colour width this band offers something a bit different. Made with a high quality vintage leather with a contrasting coloured canvas insert. Heavyweight Ivory coloured stitching. If you have any questions about this product by ZULUDIVER, contact us by completing and submitting the form below. If you are looking for a specif part number, please include it with your message.